I was poking around online and stumbled across a demo/in-service for the graphics operators on the new graphics. 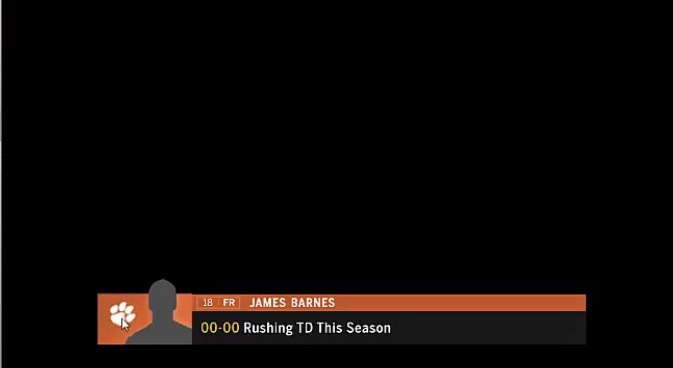 Let's just say that the new FOX Sports gfx package is flat, generic and they sure do love the color black. Honestly, it looks like they were made for a video game. They should be ready to go for the start of College Football-- I believe next weekend? The old one will live on ... in shirt form. 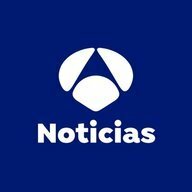 Anything remotely related to what we saw for the Super Bowl or the MLB updates above your post? Next weekend is a Sunday Fox Preseason NFL Doubleheader (I think this is the first time they've ever done this). College Football starts Labor Day weekend. I believe Fox typically does debut new graphics during NFL preseason, so we ought to see the new graphics on Sunday. There are a handful of games on 8/26, but the season really kicks off the following Thursday-Saturday. FS1 has a game on Friday night (9/1). But like you said, we should see the new stuff for the NFL pre-season games next week. Seeing that this gfx package is ready to go, I wonder if they'll use the new stuff for the MLB Playoffs? 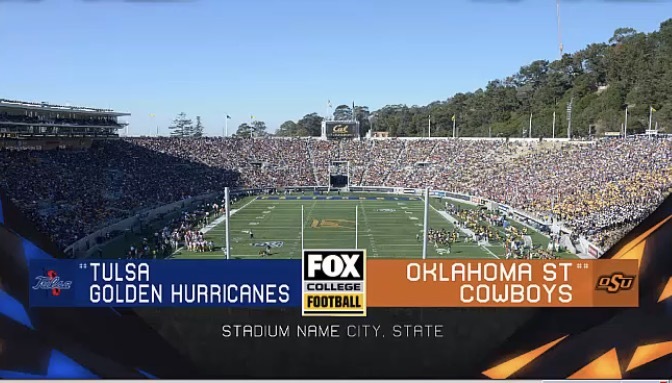 In the past, they've used new graphics during playoffs but that stopped when the FSN's/FOX Sports mothership integrated their graphical look/resources. 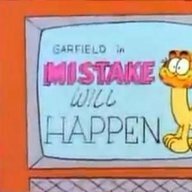 Actually, MLB graphics were more delayed before the integration. When new graphics launched for the NFL in fall 2003, MLB didn't get those graphics until the 2004 playoffs. 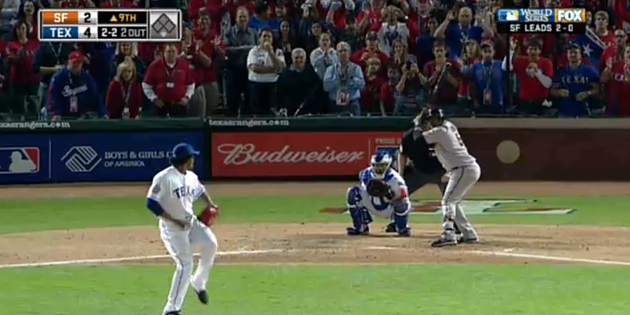 When NFL got new graphics in fall 2006, MLB didn't get those graphics until the 2008 regular season. The least delay ever was with the outgoing graphics. NASCAR debuted the graphics instead of the NFL (in February 2014), and MLB immediately got those graphics for the 2014 regular season. Yes, but prior to 2008-ish? Weren't the mothership telecast graphics and the FSN gfx different? I don't recall ever seeing those jolly rancher graphics from 2005-2008 used on the national broadcasts. It wasn't until the 2008 update that both entities started sharing the same look. I could be wrong. It's been way too long to remember. The jolly rancher graphics were used for that one particular NFL game where the normal production trucks got snowed out and they had to leech off FSN Rocky Mountain just to get a telecast available. 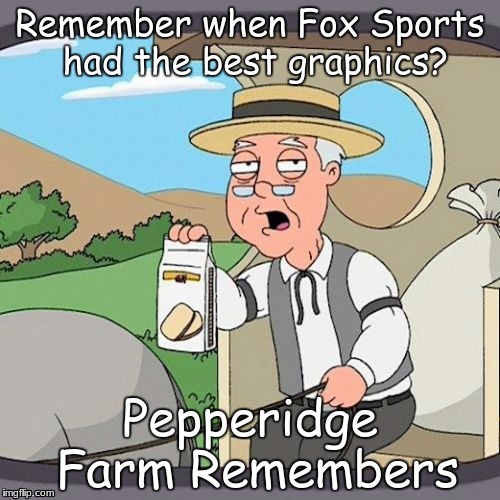 Besides that, the only time Fox and FSN shared graphics prior to 2010 were when they both used the "metal" graphics for MLB. Yes, the 2008 graphics package was the first one they shared ( example below). This look was followed by the pillbox. 2008 was the lone year that MLB on Fox used the 2006-2010 graphics that matched what they were using for football at the time. First Fox preseason games are tomorrow. We did get the new graphics there last time (but they had already been in use since the Spring, so there). Part of me thought the Mayweather prelims would have used them given the circumstances, but it looks like they're using the soon-to-be former graphics still. I did notice the FOX bug looked a bit different, but other than that, like you said they were still using the current stuff. No surprise, the new graphics are running. So far, they're nice, if a bit simple. I'll have HD caps within the hour. Interesting that for lower thirds with stats, they're making the player's name MUCH smaller than the actual stats themselves. It looks weird, but I think it may actually be a smart move. They look very simple so far. Like CBS and NBC, we're doing a bottom FoxBox. Cut some corners on it and the old scorebox would be an improvement. Team names on the score bar, not location. Haven't seen that since the early 2000s MNF package, right? Also like NBC, the FoxBox wipes away to make way for a statbox. I can't believe they actually copied everyone else and went with the bottom score bar. Also of note, they're trying to be distinctive by using each team's name (Bears/Titans) instead of their abbreviation (CHI/TEN). Still, I think it looks INCREDIBLY boring, and all of the empty space looks pretty miserable. I feel like these graphics are just uncreative. They're about as basic and plain as you could imagine. Yeah, no effort put into this package at all. Just boring. 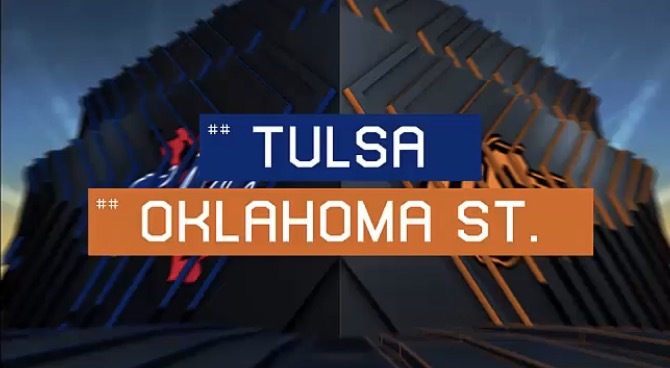 This looks like the type of cheap graphics design you'd see on local preseason games. Though, when it retracted into a smaller version to bring up a player profile card, that looked a little better. A bottom-left corner box would have been more unique for football.